Economists analyze the impact of a ‘Brexit’ on the U.K. and Eurozone. As the British plan to hold a public vote over whether to remain in the E.U. this summer, economists analyze the possible impacts of a positive vote on the national and European economy. 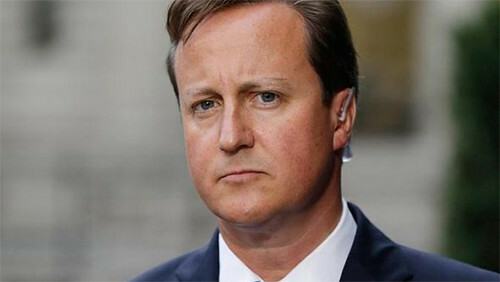 In the meantime, Prime Minister David Cameron is preparing a series of talks with E.U. leaders, that may convince the British people to vote for the E.U. But E.U. officials said that negotiations with the British government were already hammered out, so a referendum is more than likely to take place later this year. Official surveys show that there’s a 36 percent chance for Britons to say goodbye to the E.U. The figure was consistent with another report issued by a group which represents institutional investors. Nevertheless, the risk of a ‘Brexit’ is not considered minor. So, shareholders should be ready for whichever outcome. Still, the Brexit will hit the U.K. the most, analysts believe, for at least three reasons. First, the referendum may be followed by political instability, despite Cameron’s pledge that he would stay in office even after an exit. But that won’t last long because he had already announced that he is not interested to be reelected. Plus, Brexit supporters in the U.K. legislature are unlikely to allow Cameron negotiate details after the divorce. Second, a positive vote would destabilize even more Northern Ireland, experts think, because of new restrictions such as limitation in the movement of goods and people. The Irish have said that EU membership brought peace to the region. Third, a new trading agreement between the U.K. and E.U. should be negotiated in case of Brexit. It is unlikely that the E.U. will agree to make any concessions in case of a Brexit vote. Plus, Cameron dismissed the possibility of a trading agreement similar to those applied to Switzerland and Norway because those agreements mean that the U.K. would have to allow E.U citizens to live and work in the country. And this right is the major reason Britons might vote to leave the E.U. Experts also think that a Brexit may damage the country’s reputation among investors and the national currency. Yet, Brexit would certainly send ripple effects outside the country’s borders. Ireland would have to suffer the most because of low wages, inflation and weak exports, the Economic and Social Research Institute reports. Experts also think that a Brexit could undermine E.U.’s cohesion and expose the European community to economic shocks triggered by non-eurozone countries.